In just five minutes you could be eating this fresh, tasty Asian inspired Thai sweet chilli tuna red cabbage wrap. An easy way to get your five recommended vegetables a day in one meal. Click to add our Thai sweet chilli tuna pouch to your Woolworths shopping cart. In a small bowl, mix together the mayonnaise and chilli sauce. 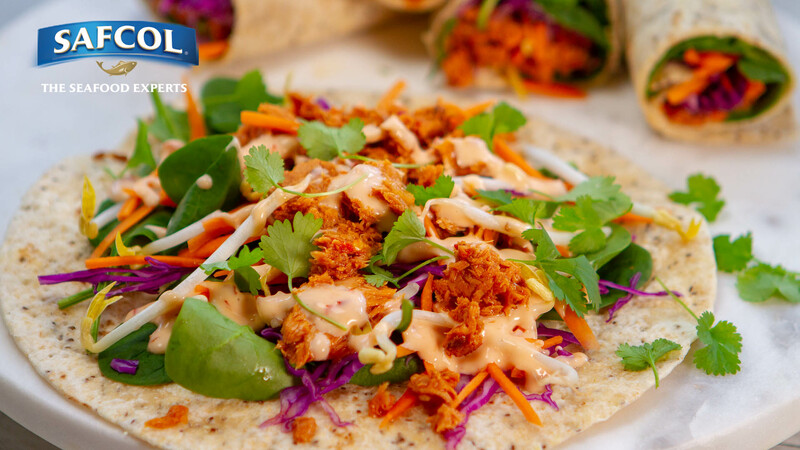 On each wrap, layer the spinach leaves, shredded cabbage, carrot, bean sprouts and coriander leaves. Then top each one with half the Safcol Tuna pouch with Thai sweet chilli. Drizzle with the chilli mayonnaise, wrap tightly, cut in half and serve immediately.